Mandarin Grill at Mandarin Oriental Kuala Lumpur now has a new menu thanks to their newly appointed Chef de Cuisine, Sebastian Barcudes. The new menu offers modern, unique dishes with hints of Argentinian elements and I like that Sebastian’s food is easy to understand. 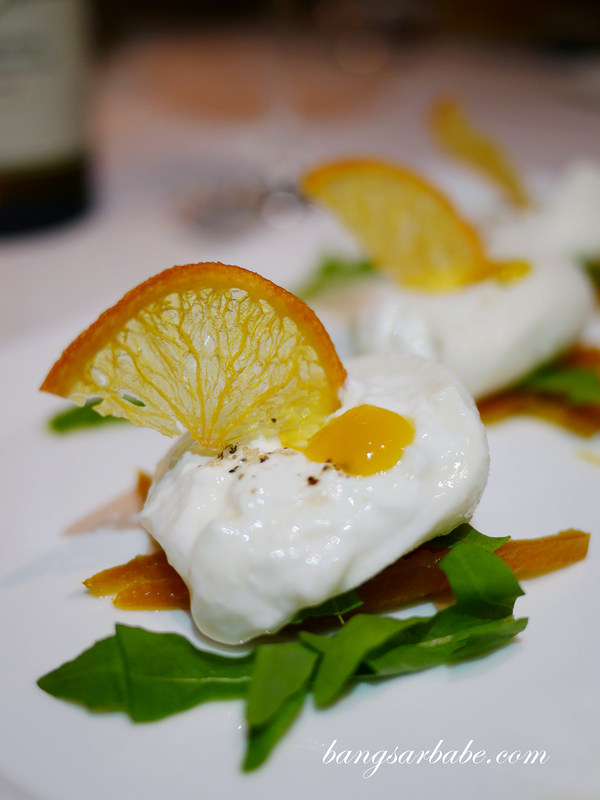 We started with the Burrata (RM78) which was served with orange compote, arugula and balsamic reduction. Not quite what I was expecting for Burrata as the standard ones usually come with tomato slices and basil. 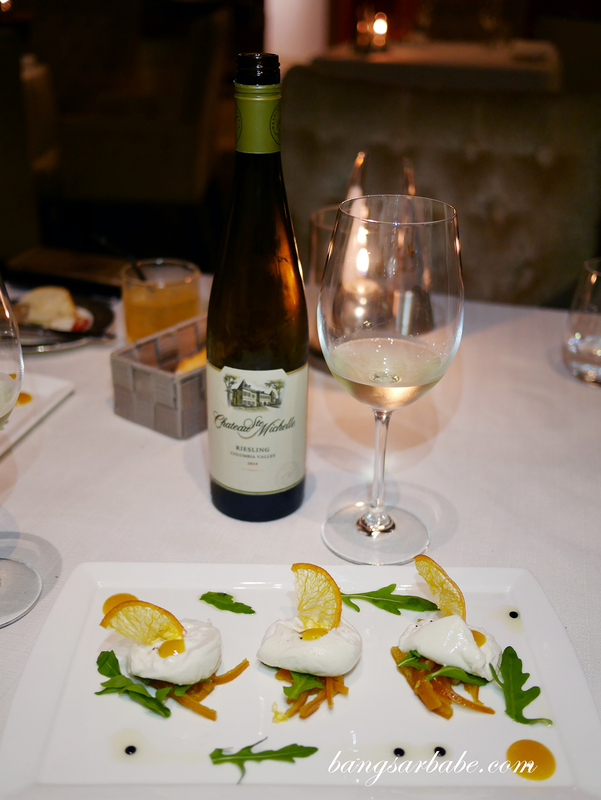 Chef Sebastian’s version was refreshingly different – the orange compote imparted a tangy-sweet note to the cheese, complementing the balsamic reduction and crisp arugula. I found the overall flavour nicely balanced. Seared Hokkaido Scallop (RM98) looked simple but tasted anything but. 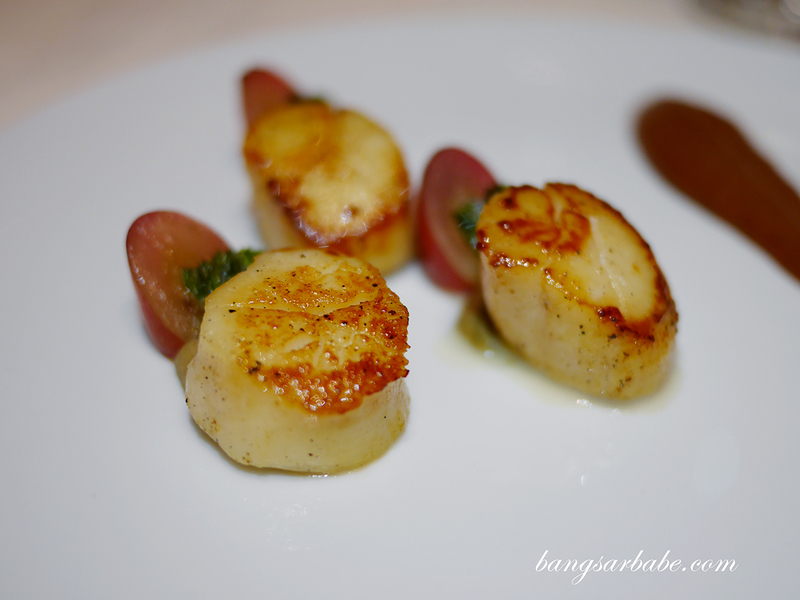 The scallops were beautifully seared on the outside and the centre remained succulent and sweet. I thought the pairing of ginger and pear chutney sounded bold, but the flavours paired quite well. 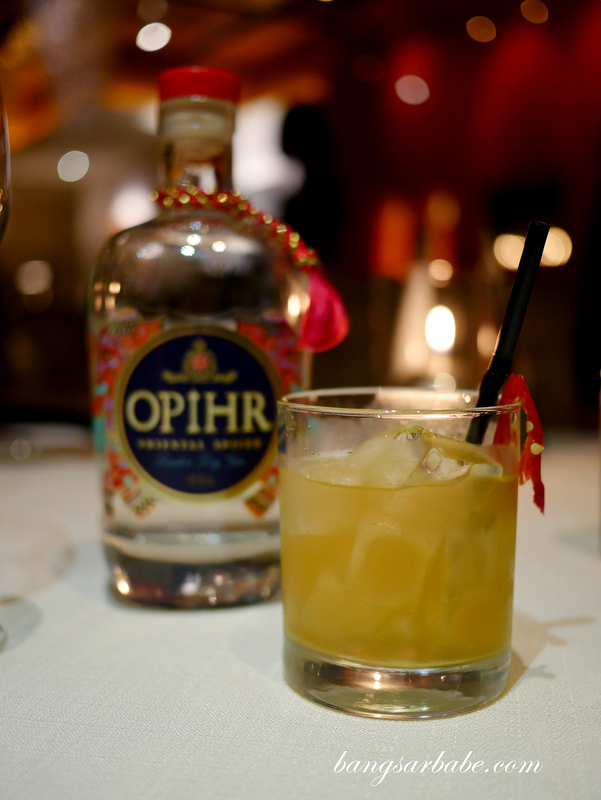 I had this with an Argentinian Chardonnay – fruity, light with a fleshy finish. 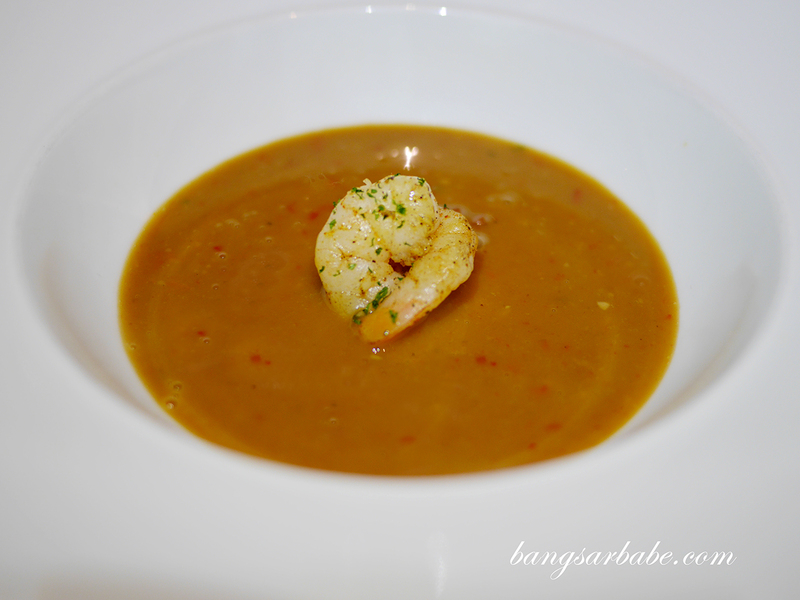 Seafood bisques are usually rich and sweet, but the Parihuela (RM56) pleasantly surprised me with tangy and spicy notes in each spoonful. 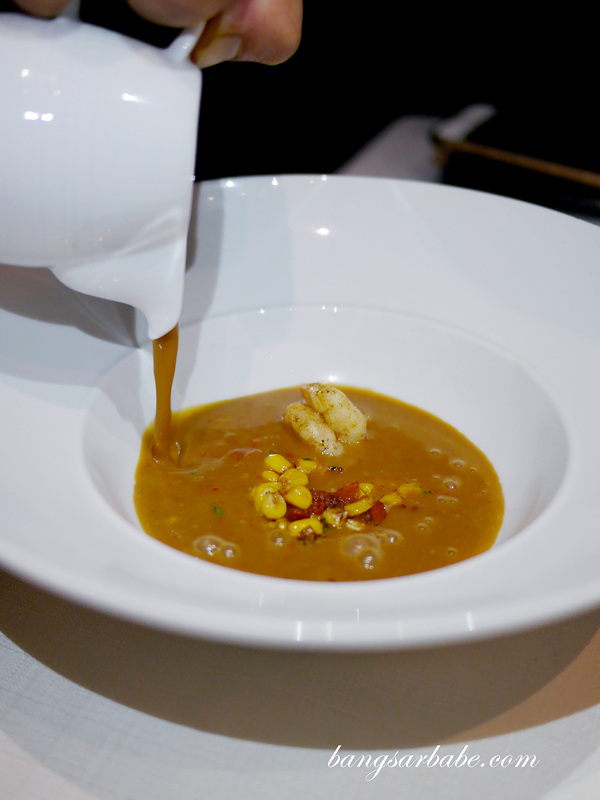 This Peruvian seafood bisque has plenty to offer in terms of flavour and happens to be a recipe close to Sebastian’s heart – his childhood staple. You get an underlying hint of spices and a nice bite from the corn bits. This calls for a nice crusty loaf to mop up all the goodness! 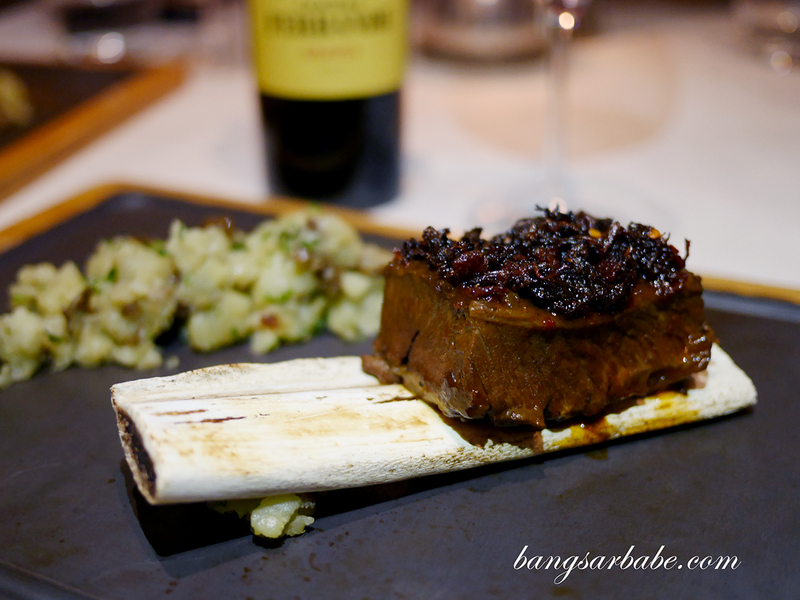 The Black Angus beef short ribs (RM188) is unlike what I’ve tasted before. 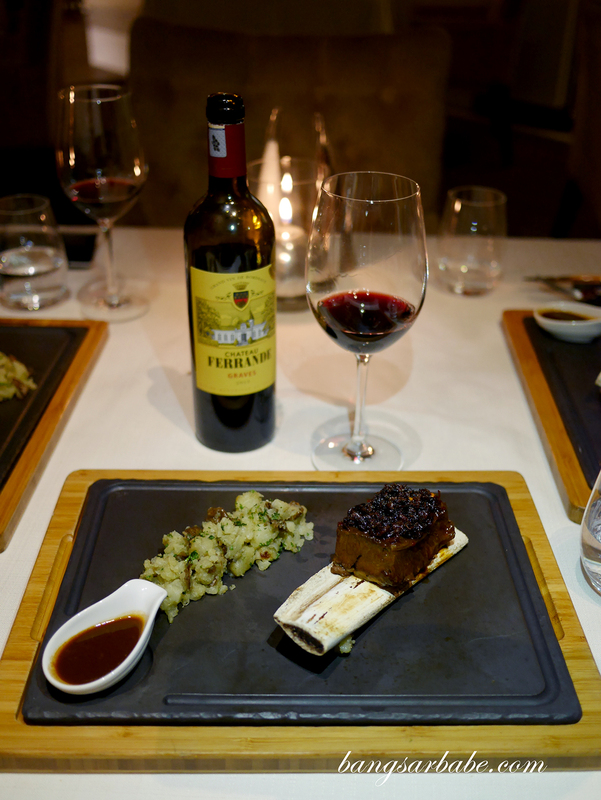 It’s familiar yet at the same time, new to my palate – like a cross between beef jerky and ribs. The ribs were tender but didn’t fall apart so you get a little bit of chew in each mouthful. Good stuff. Sebastian shared that he marinates the rib for two days before braising it for 6 hours. It is then basted with beef reduction sauce and pepper for 20 minutes, and served alongside ginger infused beef jus to cut through the rich flavour. 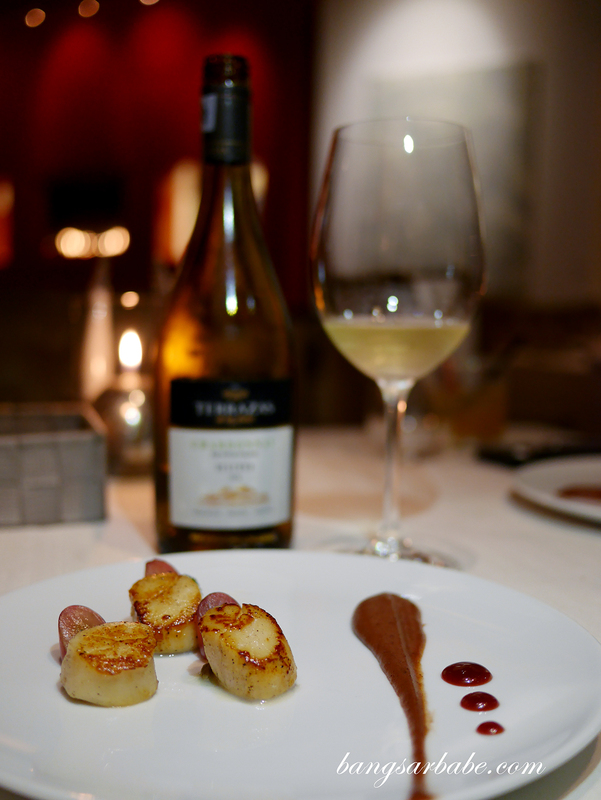 This was perfect when paired with a French red; Chateau Ferrande (Rouge) 2013. 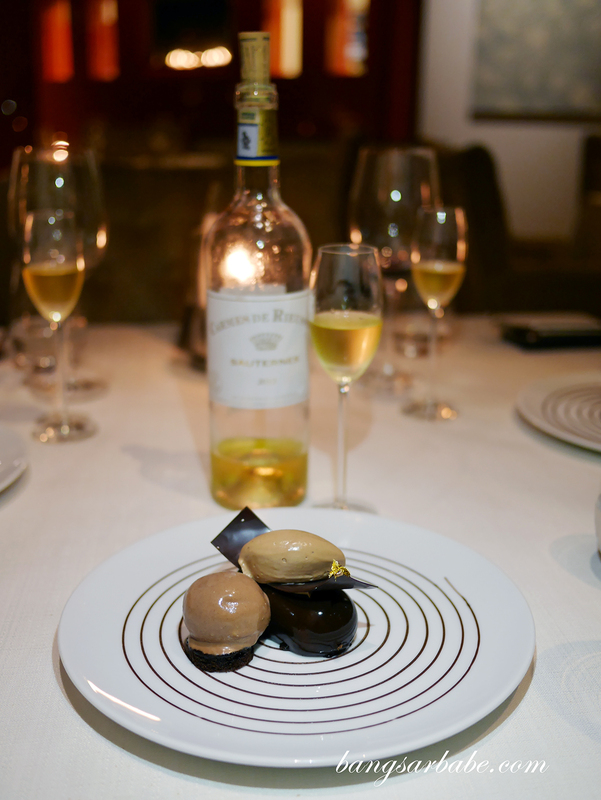 One would expect to see the legendary chocolate sphere on the new menu, but Sebastian did away with it and in its place, Textures of Valrhona (RM42). I liked how unique yet straightforward this dessert is – it’s easy to eat and understand. 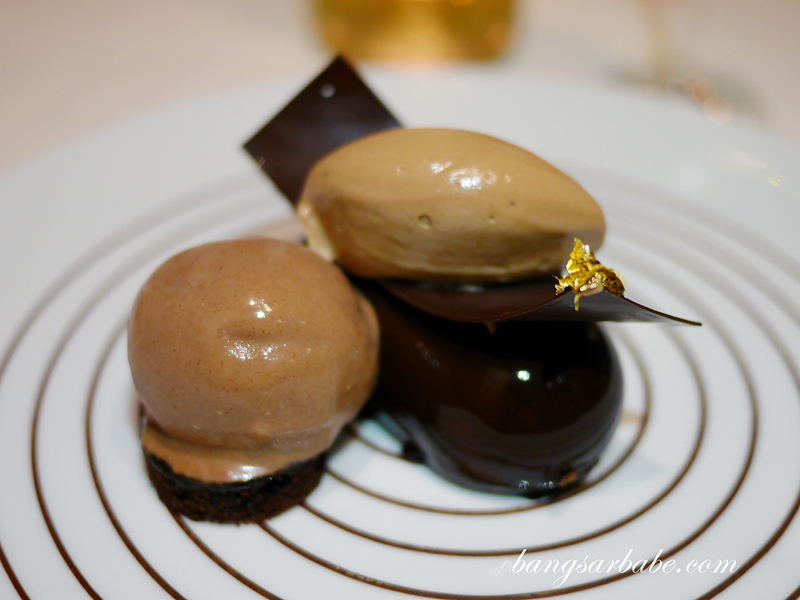 You get several chocolate components that complement one another on a single plate. Rich, chocolate-y and satisfying. Just the way dessert should be. 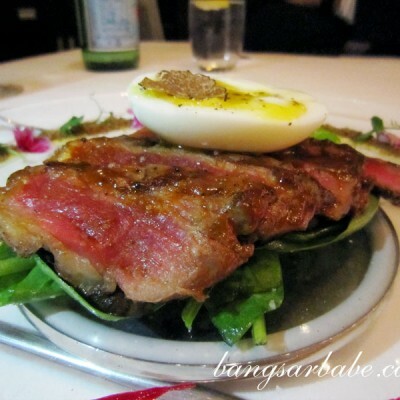 Honestly, I enjoyed the new menu at Mandarin Grill more than I thought I would. Sebastian’s dishes were fun and creative, yet straightforward. That to me, is the way food is meant to be enjoyed. I like that he injects personality and life experiences in the dishes like the Parihuela and beef ribs. Kudos to the sommelier for pairing the wines that night – they matched well. For reservations, call 03-2179 8797/8798 or email [email protected] Mandarin Grill is open daily for lunch from 12pm to 2.30pm and dinner from 7pm to 10.30pm. Verdict: The new menu is interesting, easy to understand and fun to eat.